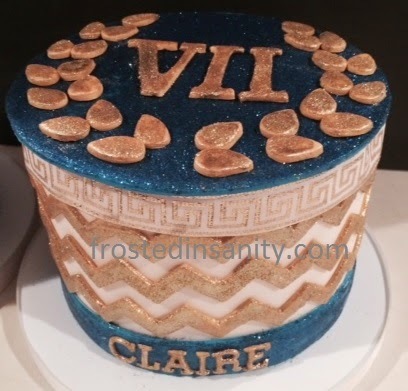 Olympic Goddess cake with enough edible glitter to glam up the entire party. In the words of mom, "there cannot be enough glitter on this cake!". It think we got it.